Skin & Tonic London are a super clean, green, simple, ethical and British beauty brand with penchant for using organic ingredients sourced from local producers in the UK & France. Whenever I discover a new organic British brand, I just have to try it. Naturally, I picked up the Skin & Tonic London Brit Beauty Oil because I, myself, have a penchant for facial oils, and this product is absolutely no exception. The Skin & Tonic London Brit Beauty Oil features omega rich oils which are distilled in the UK. The borage, thistle and chia seed oils are jam-packed with antioxidants and omegas 3 and 6, which all help to minimise fine lines, reduce the appearance of large pores and encourage cellular function (repair, regenerate). If there's one thing I can say about this oil, it has hugely improved the condition of my skin, and then some. This is, what I would call, a fairly heavy oil - especially for my oily skin. Therefore, I reserve it only for evening use. While heavy, it still effectively absorbs into skin, allowing the oils to penetrate on a deeper level, improving skin quality from further within and showing much greater improvement. My complexion is plumper and healthier looking. My skin looks almost full, like it's finally had a good meal. My face is left very well hydrated and nourished, giving me this wonderful radiant and healthy glow. I'm softer and suppler when using this oil; my skin is in the best condition I've seen. The oil itself is very refreshing, giving skin and instant hit of hydration, offering a reviving sensation when applied. It smells just lovely. Very fresh, somewhat earthy, and subtle, making this the perfect complement to an evening routine. It helps to calm my senses, and allows me to drift off into an undisturbed sleep. While the pore reducing claims are yet to be seen, this oil is definitely on point when it comes to encouraging cellular renewal. 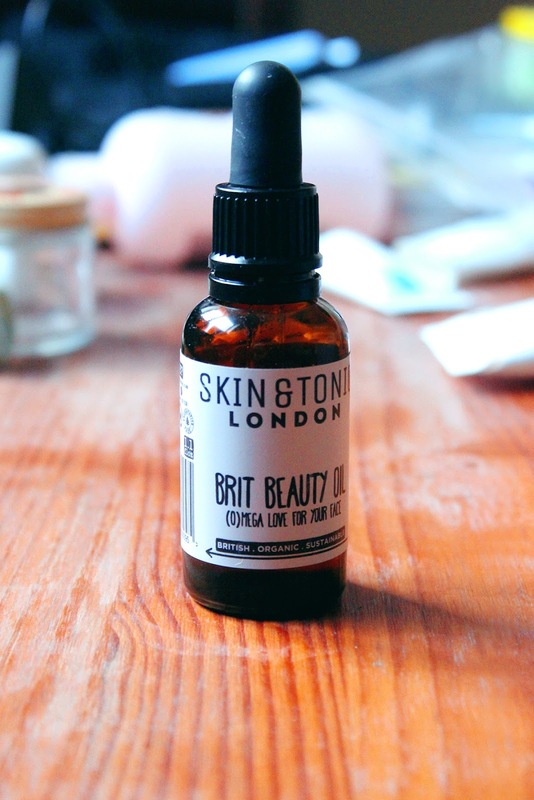 For improving skin condition, the Skin & Tonic London Brit Beauty Oil is my go-to oil. My complexion is healthier and plumper, leaving my hydrated and nourished, with a truly radiant glow. Effective, repurchase. Skin & Tonic London Brit Beauty Oil can by purchased from Skin & Tonic London for £28.00 / 30ML.